The inaugural id2 National Selection International Tour, held Feb. 5-14 in the Netherlands and Germany, was highlighted by games against youth academy teams from AFC Ajax, PSV Eindhoven and Borussia Dortmund. In addition to on-the-field training and game play, the tour included walking tours of several European cities, attendance at the FC Twente vs. Ajax Eredivisie game and the 1899 Hoffenheim vs. Vfl Bochum Bundesliga contest, and a tour of the famed Amsterdam ArenA, where the U.S. Men’s National Team faced the Netherlands in an international friendly two weeks after the id2 National Selection’s departure. The team was comprised of 15 boys born in 1996 and three born in 1997. DEN HAAG, Netherlands – Goals by Wes Wade (South Orange, N.J. / New Jersey Rangers) and Ade Taiwo (Raleigh, N.C. / Triangle FC) propelled US Club Soccer’s id2National Selection (1996-97s) to a 2-0 win over Quick Den Haag’s C1 team (1995s) Sunday morning. The team trained together only one time before taking the field on Sunday, but after a back-and-forth first half, the visiting id2 National Selection applied increasing pressure and outshot Quick Den Haag by a 10-3 margin in the second half. Wade started off the scoring in the 57th minute when he put a through ball from Declan McCabe (Weston, Mass. / MPS) past the goalkeeper. A 67th-minute insurance tally was added with the help of Corey Baird (Escondido, Calif. / San Diego Surf), who accelerated past his defender around the corner and cut the ball back to an onrushing Taiwo, who made no mistake from 10 yards out. Goalkeeper Carter Richardson (Dublin, Ohio / Team Ohio) earned the win in goal and made several quality saves, including one on a dangerous free kick just outside the 18-yard box towards the end of the first half. After the game, the team had lunch with their opponents and interacted at the Quick Den Haag clubhouse before taking in AFC Ajax’s 3-0 victory over FC Twente in a battle of two of the best teams in the Eredivisie at Amsterdam ArenA, the same venue which will host the U.S. Men’s National Team on March 3 in an international friendly against the Netherlands. The id2 National Selection has one day of training before its next game, Tues., Feb. 9 against AFC Ajax’s C1 team in Amsterdam. AMSTERDAM – US Club Soccer’s id2 National Selection (1996-97) earned its second win in as many games Tuesday evening, a 3-2 defeat of Ajax C2 (1996). Photos from the game are available, as are the first two video journal installments (Feb. 7 and Feb. 9 editions). Corey Baird (Escondido, Calif./San Diego Surf) gave the id2 National Selection a 1-0 lead at halftime with a goal in the 17th minute on an assist from Chet Castellaw (Hidden Hills, Calif./Real So Cal). It did not take the id2 National Selection long to increase that lead once they came out of the locker room at halftime, as Wesley Wade (South Orange, N.J./New Jersey Rangers) ran onto a ball from Collin Fernandez (Downers Grove, Ill./Chicago Fire Juniors) and tucked the ball away for a 2-0 lead just three minutes into the second half. Ade Taiwo (Raleigh, N.C./Triangle FC) added what proved to be the game-winning goal in the 61st minute on assists from Baird and Benny Swanson (Grove City, Ohio/Team Ohio FC). Ajax stormed back and added goals in the 62nd and 67th minutes, putting the id2 National Selection under heavy pressure, but the final whistle blew to secure the win for the Americans. The id2 National Selection held a slight advantage in shots (10-9), while both squads took six corner kicks. Wade and Taiwo have scored in each of id2 National Selection’s first two games. The squad ate both a pre-game meal and post-game dinner in the Ajax clubhouse, experiencing the complete European soccer experience on- and off-the-field. After a Wednesday morning regeneration session, the squad will return to Amsterdam for a tour of Amsterdam ArenA and the city. The id2 National Selection travels to PSV Eindhoven on Thurs., Feb. 11 for its third of four games on the trip. EINDHOVEN, Netherlands – Coming off a 3-2 win over Ajax C2 (1996), US Club Soccer’s id2 National Selection (1996-97) battled hard against an older-age PSV Eindhoven C1 squad (1995-96) on Thursday, but came up short by a 6-0 scoreline. Photos from the game are available, as are video journal installments. 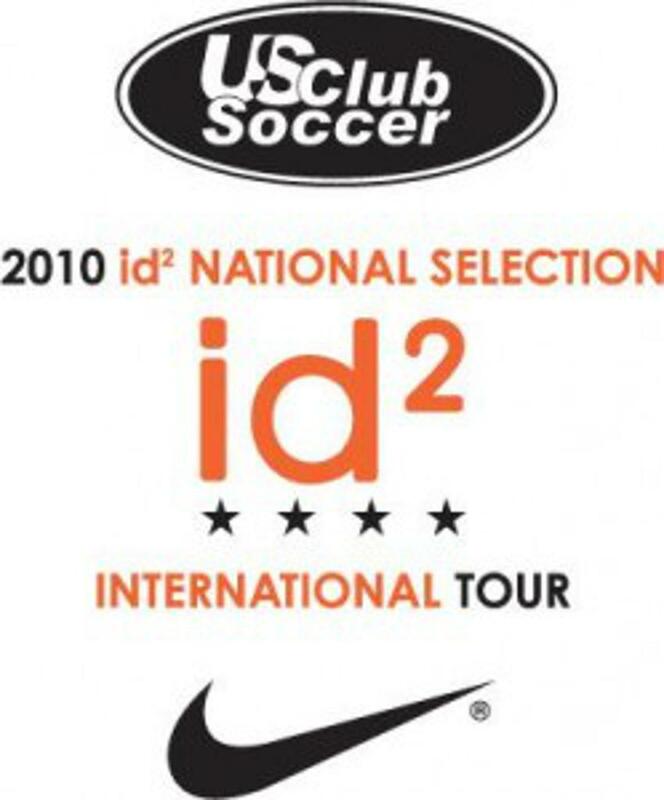 The id2 National Selection travels to Germany to take on DVD Dortmund on Sat., Feb. 13, in the finale of the 2010 international tour. DORTMUND, Germany – US Club Soccer’s id2 National Selection (1996-97) concluded its tour with a 6-3 defeat to Borussia Dortmund on a snow- and ice-covered field Saturday afternoon.battled hard against an older-age PSV Eindhoven C1 squad (1995-96) on Thursday, but came up short by a 6-0 scoreline. Anthony Calvo’s highlight-reel goal provided an early 1-0 lead for the Americans, but BVB Dortmund rallied in the second half for the win. Highlights from the game can be seen in the five-part video journal series.